TechSpot: iCloud; a brand new cloud computing service from Apple to use with Mac, iPhone and iPad. 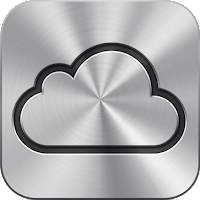 iCloud; a brand new cloud computing service from Apple to use with Mac, iPhone and iPad. Apple announced the release of new iCloud cloud service on June 6, 2011 during Worldwide Developer Conference. Now, iCloud is all set to launch on 12th October 2011 along with Apple iOS 5 and iPhone 4s. iCloud is basically a successor of MobileMe, a subscription-based collection of online services and software, widely used with earlier Apple devices. In simple terms, iCloud is a service in which documents are stored in remote Apple servers through Internet, can be accessed through multiple Apple devices such as iPhones, iPods, iPads, Mac OS Computers and even Microsoft Windows desktops. Take a photo on an iOS device or import a photo from your digital camera to your computer. iCloud automatically pushes a copy of that photo over any available Wi-Fi or Ethernet connection to the Photos app on your iOS devices, iPhoto or Aperture on your Mac, and the Pictures Library on your PC. You can even view your Photo Stream album on your Apple TV. So you can show off your shots to friends and family from whichever device you’re using at the time. Apps make it possible to create amazing presentations, write reports, and more right on your iOS device. You don’t have to manage your documents in a complicated file system or remember to save your work. Your documents are just there, stored in your apps, and ready whenever you need them. And now your apps can store that information in iCloud. Which means you can access your documents — with your latest updates — on whichever device you happen to be using at the time. It all happens automatically, without any effort from you. Update your schedule in one place and see your changes everywhere. When you have multiple devices, iCloud updates them with your most recent appointments — saving you time for all the other things you have going on. You can also share calendars with other iCloud users. A datebook your whole family can add to. Or a team schedule that every player can access. As soon as someone adds or edits an event, iCloud updates it wirelessly on everyone’s devices. iCloud stores the web pages you’ve bookmarked, notes you’ve written, and reminders you’ve created. It’s all there, everywhere you go. So when it comes to your devices, you can switch things up without mixing things up. iCloud can automatically download new music purchases to all your devices over Wi-Fi — or over 3G if you choose. Which means you can buy a song from iTunes on your iPad at home, and find it waiting for you on your iPhone during your morning commute. All without having to sync.